Persian classical music dates back to at least the fifth century B.C. The Achaemenid Empire employed music in prayer, royal festivals, and national ceremonies. Dr. Nader Majd was born in Sari, Iran, and began studying and playing the santur, or Persian hammered dulcimer, and violin at the age of six. He later learned to play the tar and setar from his father and uncles, artists well known in Iran. All of these instruments are essential to Persian music of prayer. 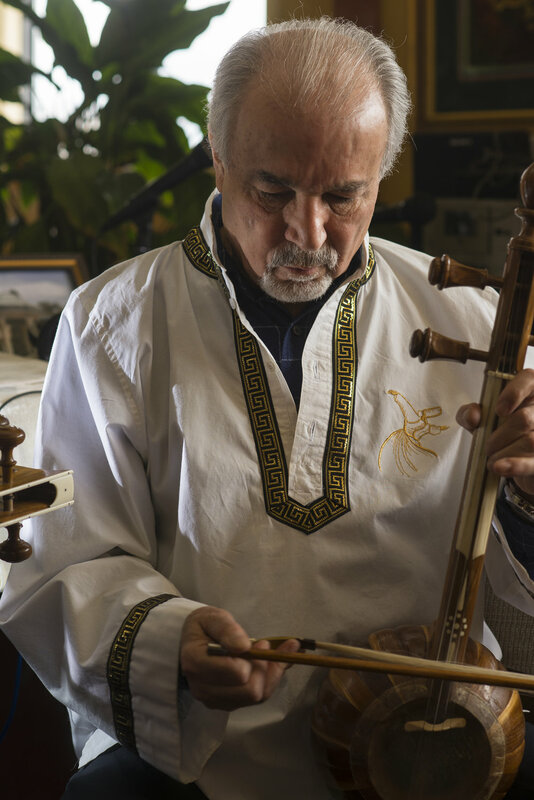 Dr. Majd immigrated to the United States in 1968, and in 1997 established the Center for Persian Classical Music in Northern Virginia, a critically important organization for the preservation and teaching of Iranian music and traditional culture. Nader recently became one of the first returning master artists in the Virginia Folklikfe Apprenticeship Program, working with Ali Reza Analouei, who himself was a 2009 Master Artist on the Tombak and Daf.